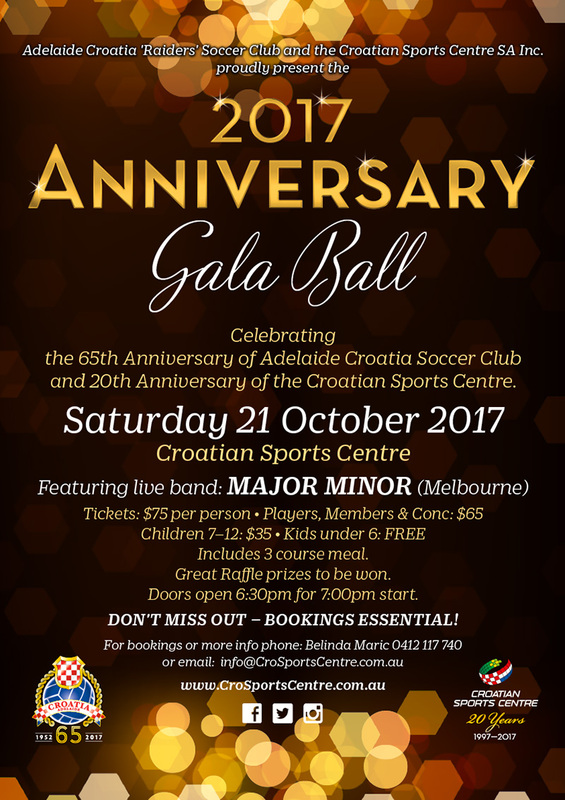 and 20th Anniversary of the Croatian Sports Centre. Doors open 6:30pm for 7:00pm start. Don't miss out – Bookings Essential!